Just Host is yet another hosting company that provides cheap and reliable web hosting services. Formerly known as Super Green Hosting, they offer custom-tailored support based on the hosting service you choose. IsItWP users get over 50% off their regular price and a free domain name. Just Host offers a wide variety of hosting options for websites of all sizes. When you’re starting out, you can choose a shared hosting plan, which allows you to easily get your website up and running. They also offer VPS and dedicated hosting services for resource-heavy websites that consume a lot of bandwidth. Just Host gives you $200 in advertising credits to promote and grow your new site. When purchasing a hosting plan, you can register a domain name for free. You’ll also get access to the Trendy site builder, which is a flash-based builder to quickly launch a new site, with no coding involved. All your sites are hosted on high-performance quad processor servers. They perform network monitoring around the clock to ensure maximum uptime for your site. In case you need help, you can easily get in touch with their friendly support team via phone or live chat. With Just Host, you get SSH access, which allows you to access your server using command line. That way, you can manage your hosting account faster than a graphical user interface is able to provide. Regular price $9.49 / mo but our users pay $3.95 / mo! Get started with Just Host today! Just Host specializes in shared hosting for small blogs and websites. They offer 4 different shared hosting plans: Basic, Plus, Prime, and Pro. No matter which plan you’re choosing, your account will be set up almost instantly after your purchase. All plans come with unmetered bandwidth, meaning they don’t charge you based on the bandwidth your site consumes. All plans also include cPanel, the most popular control panel for managing your hosting account. With cPanel, you can get access to everything you need to build and grow your site including 1-click installers, website builders, website statistics, and more. The plans differ based on the storage space you get, the number of websites you’re allowed to host, and the number of email accounts you can set up. The Prime plan allows you to host unlimited websites with unmetered website space. It also comes with Site Backup Pro, which gives you a peace of mind by securely backing up all your website files and databases. If you’re looking to start an online store, you might want to choose the Pro plan. Pro plan comes with everything in the Prime plan, plus a dedicated IP and SSL certificate. With an SSL certificate, you can foster trust among your customers by displaying a green padlock icon in their browser’s address bar. 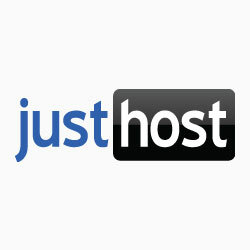 Just Host offers a 30-day money back guarantee with all their hosting plans. If you’re not fully satisfied with their hosting service, you can request to cancel your hosting account and receive your money back. If you want to host a website that attracts a significant amount of traffic or a resource-heavy application that consumes a lot of bandwidth, you might want to choose a dedicated server hosting plan. The main advantage of Just Host is that your account will be provisioned almost instantly, unlike Just Host’s competitors. 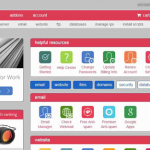 You’ll get access to their enhanced cPanel and all the tools included in shared hosting. Just Host’s dedicated servers are built with the best components, like Intel® Xeon processors. All your account information and data are protected with RAID 1 mirrored storage. Just Host servers only support CentOS. After purchasing a dedicated server hosting plan, you get complete access to your operating system and the server. Built on cutting-edge cloud technologies such as OpenStack and KVM, Just Host can ensure your site is as fast as it can get. While Just Host allows you to choose a month-to-month payment option for dedicated server hosting, you’ll get a huge discount on a longer term subscription. In all dedicated hosting plans, the setup fee is waived off and, if needed, you can get hosting addons, like SiteLock Security and SEO tools. With Just Host dedicated hosting, you get 4 cores per server, 1000 GB of RAID storage, and between four and 16 gigs of available RAM. You’ll get a dedicated access to a dedicated support line with which your requests will be responded to and resolved quickly. If needed, you can easily add more storage to your existing dedicated server. Regular price $109.99 / mo but our users pay $79.99 / mo! Just Host’s VPS plans are best suited for websites that require more resources than shared hosting can provide. With Just Host’s VPS plans, you get 2 GB to 8 GB of RAM and 30 GB to 120 GB disk space. With their KVM hypervisor virtualization, the server resources you purchase are guaranteed to your account, so you can host high-traffic website without trouble. Every VPS configuration comes with improved cPanel interface, featuring everything found in a shared hosting interface, along with special tools for your VPS management. 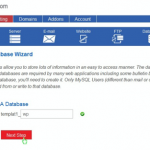 You can also manage multiple cPanel accounts in a single login. Unlike most hosting providers, Just Host can provision your VPS in mere seconds, meaning you don’t have to wait for days or hours to get your site up and running. You’ll also get full root access to CentOS. Just Host’s VPS plans are one of the best in the industry for the price. Their support staff will always be there to help you when you’re in need. Regular price $29.99 / mo but our users pay $19.99 / mo! Just Host is a hosting provider that comes with all the features you could ever ask for to host your website. 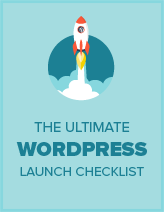 1-click installs: All plans include 1-click installers for popular website scripts including WordPress, Drupal, and Joomla. Free domain registration: When purchasing a hosting account, you can waive off the domain registration fee. 24/7 network monitoring: Just Host performs 24/7 server monitoring to ensure maximum uptime for your website. Their data center is equipped with a UPS power backup generator. 30-day money back guarantee: Try Just Host’s hosting service risk-free for 30 days. If you’re not fully satisfied with their hosting, you can request a full refund. Just Host’s customer support team is available to assist you with any questions you have, 24/7. You can contact the technical support team via phone or live chat. Just Host has a vast knowledge base that walks you through each challenge, every step of the way, so you can do things yourself without always having to rely on a live chatting session. They’ve published a huge list of video tutorials to guide you how to run a website with a Just Host hosting plan. The big downside is that they’ve discontinued email-based support to focus more on providing personal and direct support via phone or live chat. This can be frustrating to users with more advanced issues that may take a bit longer to resolve. All hosting plans include an easy-to-use cPanel, the most popular control panel for managing your hosting account. cPanel is also shipped with hundreds of 1-click installers for popular website scripts and applications. If you want, you can quickly build a website with no coding involved by using the Trendy builder, a flash-based builder. You’ll also get access to beautiful flash templates to match your business needs. Shared Hosting Basic 50 GB Unmetered $3.95 / mo. VPS Standard 30 GB 1 TB $19.99 / mo. Dedicated Standard 500 GB 5 TB $79.99 / mo. Having helped thousands of users choose a web hosting plan and start their websites, we’ve answered just about every question you can think of. Here are some of the most frequently asked questions about Just Host. Which Just Host plan should I get? Just Host offers a wide variety of hosting options such as shared, VPS, and dedicated server hosting. When you’re starting out, you can choose one of their shared hosting plans. As your site grows, you can upgrade to a higher plan. Where are Just Host’s servers located? Just Host data centers are located in Chicago, Illinois. Can Just Host handle high traffic? Yes, but it depends on your hosting option. If your site consumes way too many resources for the shared hosting to handle, then it’s advised to upgrade to a higher hosting option such as VPS or dedicated server. Does Just Host offer a month-to-month payment option? Yes! But before you choose a month-to-month payment option, keep in mind that you get a huge discount with longer term subscriptions. Do I have to register my domain name with Just Host? No, you do not have to register your domain with Just Host. You can use Godaddy, NameCheap, or any of your preferred domain name registrars. Although Just Host does offer free domains to our users, and it does help to keep your domain name and hosting all in one place. Does Just Host offer free SSL? If you’re looking for a cheap hosting plan, you can get free SSL with the Pro plan. Do I need to purchase the addons that Just Host is offering me? No, you do not need to purchase any addons when completing your order. You can always purchase any addons later, if needed. Wondering how JustHost stacks up against other web hosting companies? See our side-by-side comparison to see for yourself. Sorry, we do not have any comparison data for this web host. Just Host is yet another hosting provider that comes with a complete suite of hosting tools with affordable plans. All hosting plans include 1-click installers, outstanding uptime, and custom-tailored support based on your plans. Their hosting features are tightly integrated with their control panel, so you can easily launch and manage them with a single login. You can give their hosting a try risk-free for 30 days. If you’re not fully satisfied, you can get a full refund with no questions asked. If you’re looking for an affordable hosting service for your website, Just Host might be the place for you. All JustHost plans include a money-back guarantee.